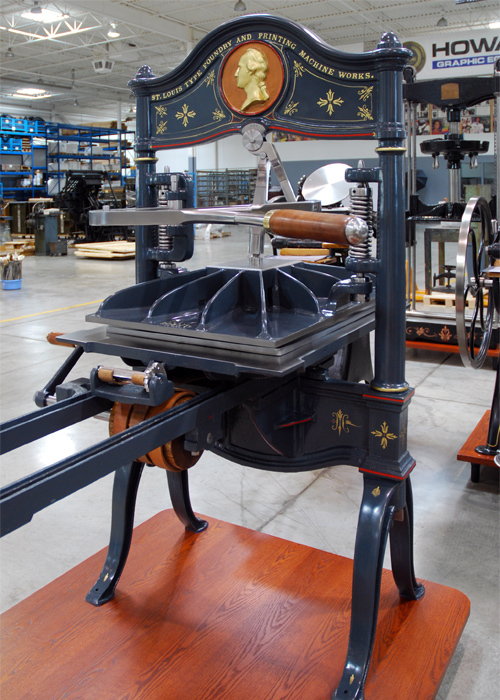 The St. Louis Type Foundry began making type by hand in 1840. During the rest of the century, they would compete directly with cross-town rivals the Central Type Foundry. In 1896, both merged and then eventually were amalgamated with the mighty ATF (American Type Founders). Although the type business was part of ATF, the St. Louis Type Foundry existed on paper until dissolution in 1902. In 1894, the firm’s machinery department was purchased by James Pavyer, who was a long time employee. In fact, the Pavyer Machine Works carried on to this day. We, at Howard Graphic Equipment, did business with Pavyer even in the 1980’s. Our press is a Washington style and one that shares all the key attributes of Rust and Hoe’s figure 4 toggle action. 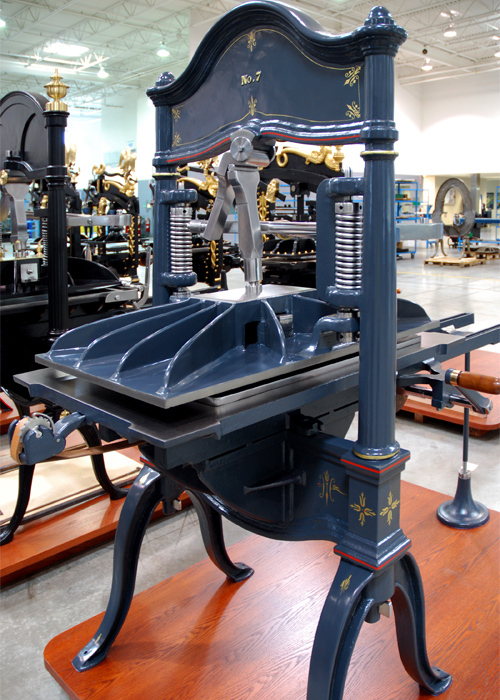 Referred to as #7, this indicates the size of the platen (approx. 23” x 35” paper size). Adorned with a wonderful bas relief of George Washington, this again takes a page from the Hoe Company’s Patent Washington press made earlier. 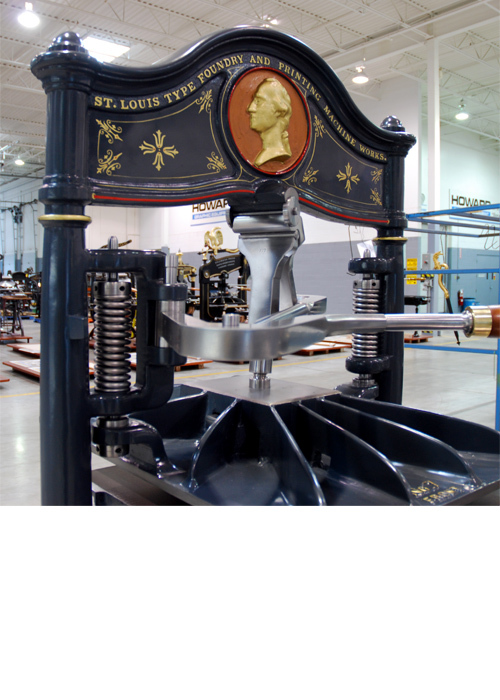 We assume based on the fact the St. Louis Type Foundry started making presses in mid 1870, ours is made around that time. 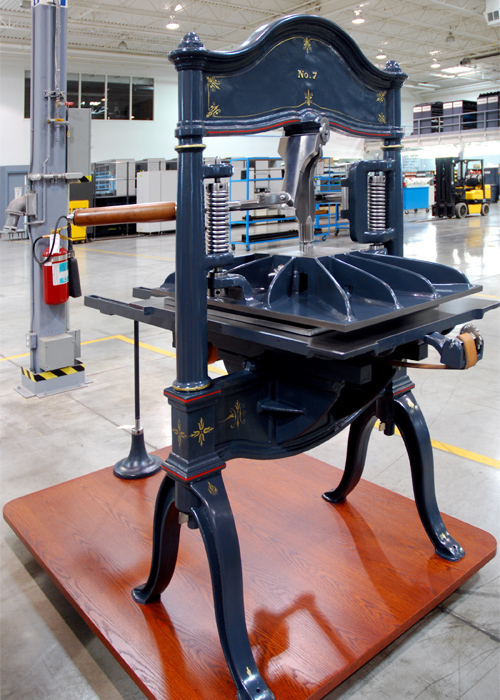 The main purpose for a type foundry selling machinery was to sell type, and since St. Louis was the “Gateway to the West”, it is known that the early recipients were newspapers in the new frontier. Our press was located in Logan, Utah. 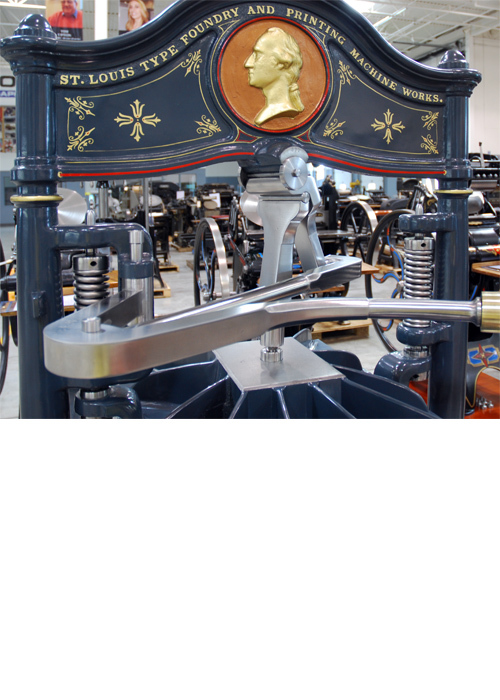 Besides St. Louis, there were many other type foundries selling machines. One of the most famous was the Cincinnati Type Foundry. But, we do not know exactly how many actually cast and made their own machines or simply had their names put on someone else’s. 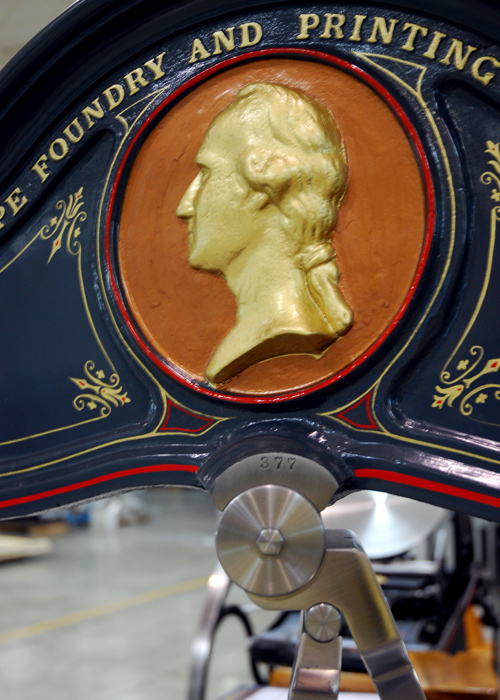 Regardless, the Washington is a very rare example splendidly adorned with artwork and decoration - some most of which we were able to record and transfer to its original glory.